I’ve spent a lot of time talking about what sponsors are looking for as well as making the pitch but I thought I’d take some time to talk about what sponsors are not looking for. 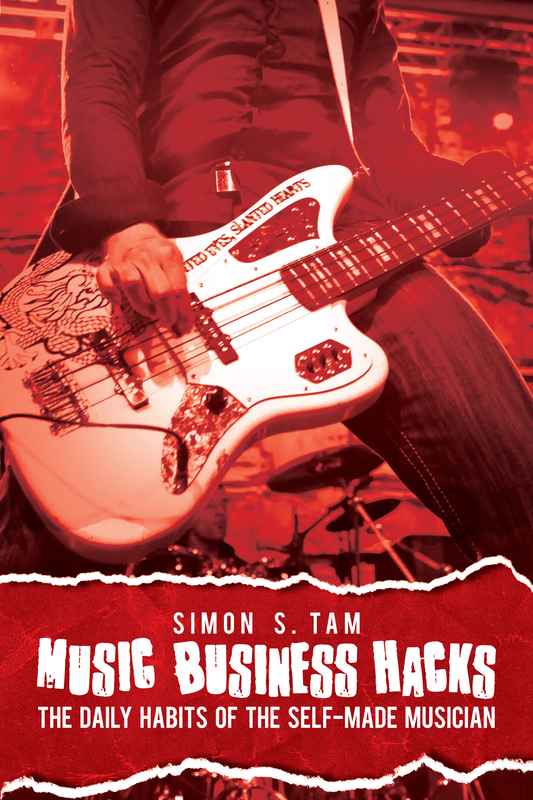 Maybe this will help you avoid the pitfalls that most artists walk right into when trying to get a new sponsor for their record, tour, or band. When someone gets an email from someone they don’t know, they immediately want to know who you are and what you want. If you are looking for a partner, make it abundantly clear – don’t just start talking about your music. In fact, this is the main reason why I reject artists who are looking for a booking agent or manager. I get several hundred emails every week from people who immediately launch into a story about their music when I have no clue about what they are looking for (do they want consultation? a manager? relationship advice?). If you are looking for a sponsor, you should always start with the people you know and people who you have some kind of connection with. If they don’t know who you are, you should do everything in your power to build up media coverage, industry buzz, and referrals so they’ve heard of you before you approach them (even some exchanges on Twitter will warm the lead). That way, it isn’t a cold call. If you don’t know them but absolutely want to ask them for a sponsorship or endorsement deal, then you better have your pitch down so that it is so compelling, they’ll be begging to work with you. If not, then work on the above. No matter what you do for a living, to some extent, you’ll be working in sales. This includes your music. So it’s a good idea to educate yourself about the sales process and how to win people over. I’d suggest getting some books by Jeffrey Gitomer, Zig Ziglar, and Seth Godin to start. If you don’t feel like reading, all of those guys have plenty of videos on YouTube that you can pull up. Trying to get a sponsor is a lot like trying to get anyone to partner with you in your music career. You have to understand what drives them. Bottom line: the people you approach are working in a business and they need to see a strong return on investment for working with you. Not only do you have to convince them that you can give them what you promise (exposure, branding, more customers, etc. ), but that you’ll do it in a way that is superior than the other ways they can use those same resources (products, services, money, etc.). In other words, if you’re approaching Fender about a sponsorship, you’ll have to prove that you’re a better bet than the 400 other artists sending them emails that week, as well as their featured artists like Eric Clapton. What can you do that’s different? How is your target audience something that they need you for? Understanding your niche audience is the easiest and most effective way to build your case in selling the idea of a sponsorship. It’s far more effective than generic boasting (your logo will be seen by X number of people) because if they simply want exposure, they can invest in advertising. Sometimes, it is the wrong company. Sometimes, it is the wrong time. If you believe that who you are approaching is the perfect fit, then you should do some research to find out what their business cycle is. Many companies plan their future sponsorship or marketing endeavors in late fall. Others do it in early Spring. If you contact at the right time, you’ll be more effective. If they’ve already used up their marketing budget, find out when would be a better time to approach them. Of course, to get to this point, you’d need to develop a relationship with them first (goes back to reason #1, knowing them). Remember, the better planning you put into your sponsorship or endorsement endeavors, the better the results. If you’d like more information, you might enjoy my book, How to Get Sponsorships and Endorsements, which has information on getting contacts, has templates for sponsorship inquiries, and step-by-step strategy. The ebook is only $4 and the print book is $10. What’re some of the reasons you believe you’ve succeeded/failed in getting a sponsor? Hi….I love your wite-ups on seeking sponsorships.